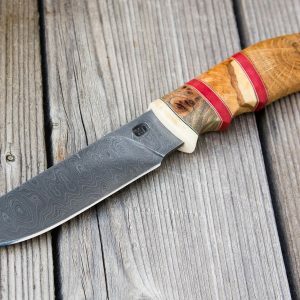 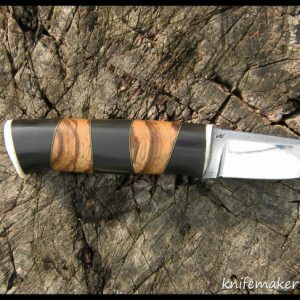 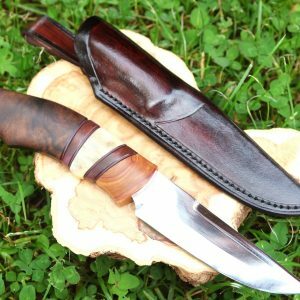 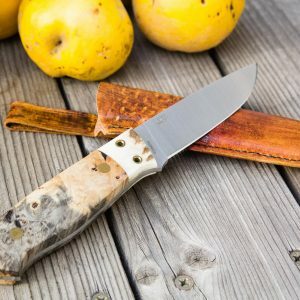 This is a new sami knife I made. 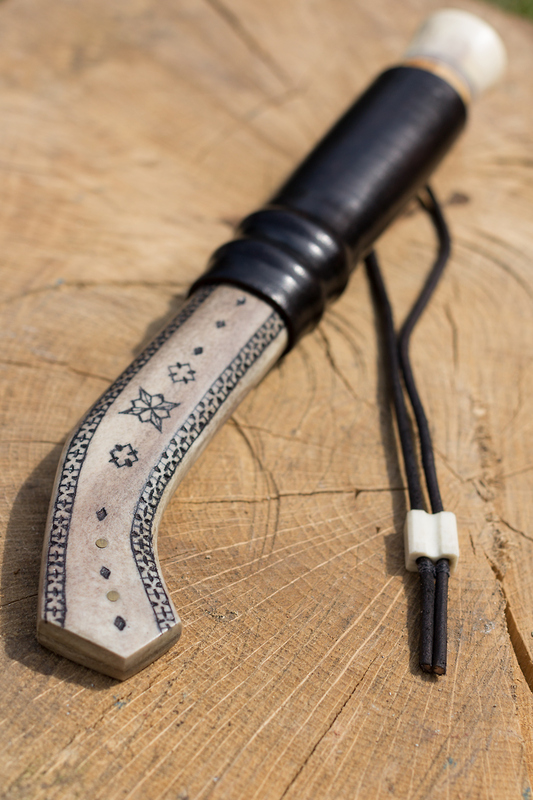 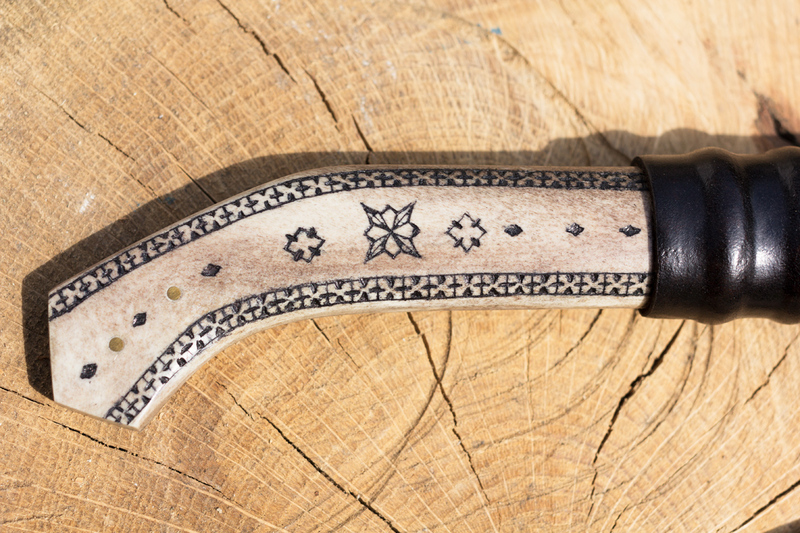 Traditional ornaments on the sheath with black dyed leather. 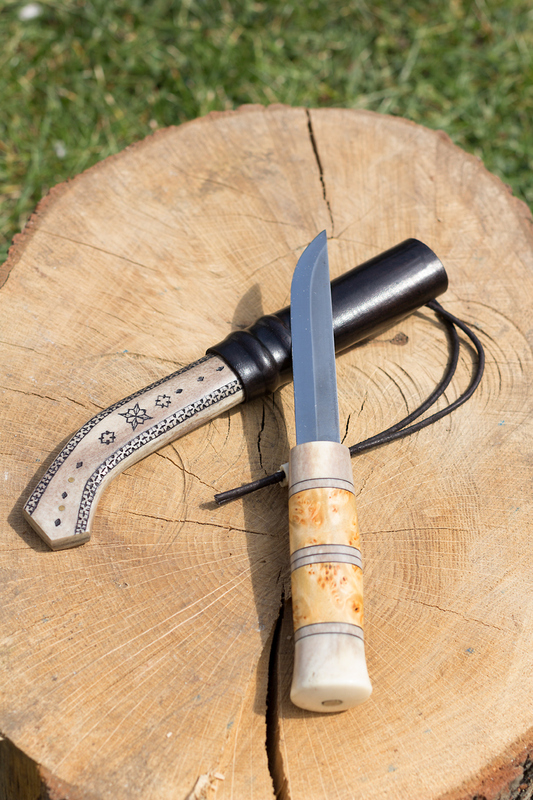 The length of the blade is longer than what I usually use – it is 120mm carbon blade. 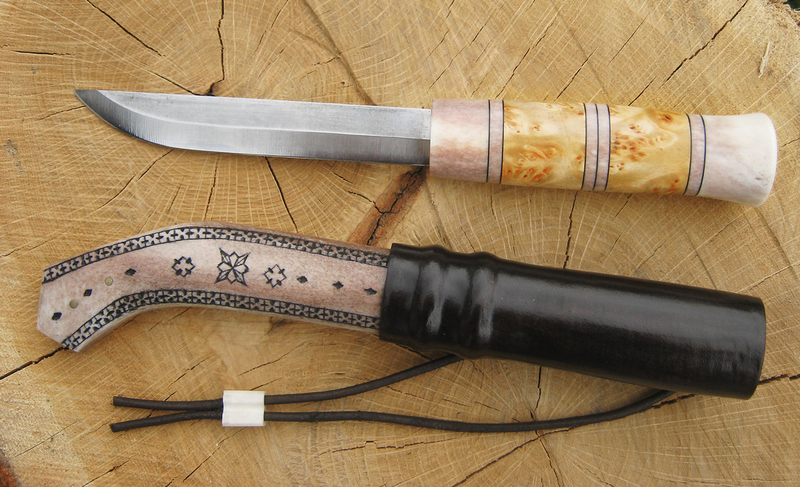 The materials I used are curly birch for the handle, moose antler and moose crown. 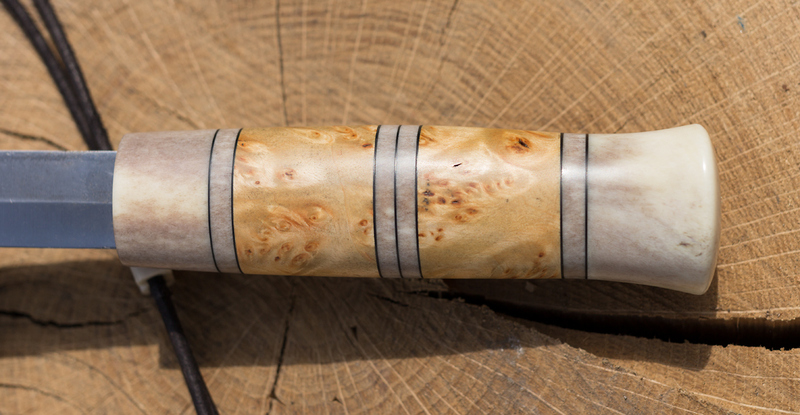 Black spacers. 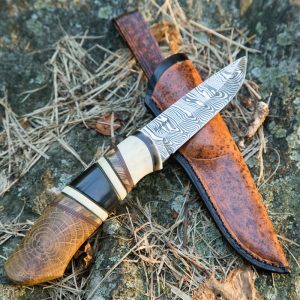 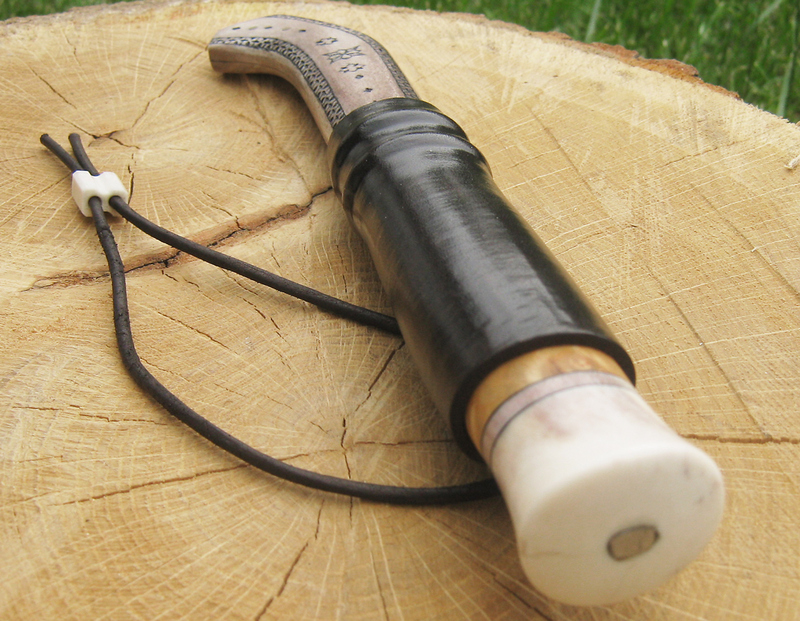 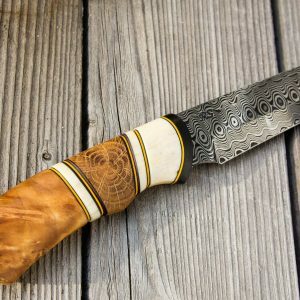 The sheath is made from reindeer antler of course and lapp vegetable tanned leather, ornamented and painted by hand. There is a leather thread that can be tightened to the belt which includes a small moose antler piece that holds the two ends together.